The CyanogenMod team has already granted official ROM support for the LTE version of Samsung's diminutive Galaxy S4 Mini, and now the international 3G variant gets a chance. The first build for the S4 Mini 3G was posted to Get.CM on Friday night, but if you're waiting for a bleeding-edge build, you're going to be disappointed. It's CyanogenMod 10.1, based on Android 4.2, which is what the S4 Mini runs under TouchWiz. 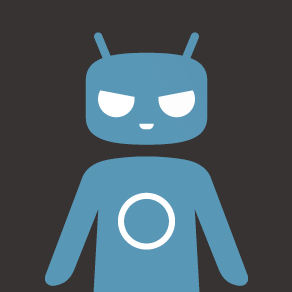 On the other hand, the first ROM out of the gate is a stable build, which is something of a rarity for CyanogenMod. This release is CM 10.1.3, the latest and last full release based on Android 4.2.2. It has a few extras like Privacy Guard and SELinux support which weren't included in previous 10.1 builds. The Galaxy S4 Mini LTE version also has the new stable build, if you're wondering. It may be a while before CyanogenMod 10.2 comes to the S4 Mini models, but in the meantime, you've got a rock-solid AOSP derivative. And considering how much clutter TouchWiz is adding to Android these days, that may be more than enough reason for some users to switch. The international models of Samsung devices have user-unlockable bootloaders, so all you really need to get started with ROMs is a custom recovery. CyanogenMod's already got you covered in that regard: here are step-by-step instructions for the S4 Mini 3G and S4 Mini LTE. Don't' forget the Gapps package for the Google Play Store and other official apps.